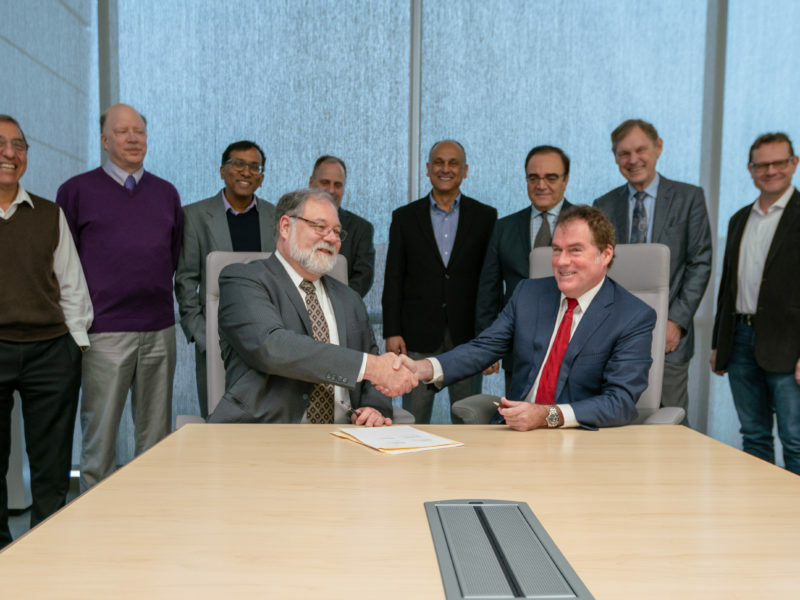 The project is funded by NASA’s Planetary Science and Technology Through Analog Research program. An example of terrain showing fluvial sorting in Iceland. If you’re looking for a place on Earth that’s similar to the environment found on Mars, where would you go? One scientifically correct answer is Iceland, specifically near Thingvellir and Askja. And thanks to NASA, that’s where Texas A&M University Department of Geology and Geophysics Associate Professor Dr. Ryan Ewing will be conducting research next summer. Ewing is the lead principal investigator of a project recently funded by a $1.1 million grant from NASA’s Planetary Science and Technology Through Analog Research program. 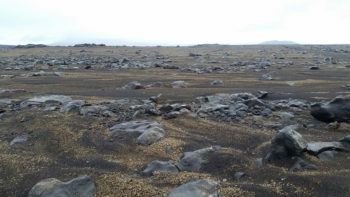 Ewing and a team of researchers will travel to two sites in Iceland that are similar to environments on Mars because the terrain includes: an abundance of igneous, basaltic rock and sediment; glaciers; fluvial systems similar to Martian ancient river systems; and wind-blown material, similar to the sand dunes and ripples that cover Mars today. The project officially begins in January 2019, and the team will conduct research in Iceland in the summer of 2019 and summer of 2020. This rover at White Sands National Monument, New Mexico will be used by the research team in Iceland. The project team includes: Dr. Elizabeth B. Rampe, NASA Johnson Space Center, Astromaterials Research and Exploration Science Division; Dr. Briony Horgan, Purdue University, Department of Earth, Atmospheric, and Planetary Sciences; Dr. Mathieu Lapotre, Stanford University, Department of Geological Sciences; and Dr. Karl Iagnemma, Massachusetts Institute of Technology, Robotic Mobility Group. Ewing’s science team is also partnering with a private space company Mission Control Space Services, Inc., led by Ewan Reid. This public-private collaboration will also include Mission Control investigators Melissa Battler and Michele Faragalli. Three Texas A&M students, two undergraduates and one doctoral, will also be part of the research team “from start to finish,” he said, and will conduct research in Iceland. In addition to examining sediment processes in Iceland, the team will also conduct operational and engineering studies. This research project’s results will influence and inform future Mars rovers’ designs and operations. “The Mars mission that will launch in 2020 will have a rover and a drone, so we are testing both a rover and a drone in Iceland,” he said. The Mars Helicopter, a small, autonomous rotorcraft, will travel on the Mars 2020 rover mission, scheduled to launch in July 2020. Robyn Blackmon, College of Geosciences, (979) 845-6324, robynblackmon@tamu.edu. TEES Eminent Professor Dr. Robert Skelton aims to answer four yet-unsolved needs for maintaining long-term life in space with his habitat project funded through NASA’s Innovative Advanced Concepts Program.